For many historical reasons, in the aftermath of the Soviet Union, too many children grew up without active fathers. The mothers became the sole influence and presence in the child's life, which obviously resulted in a slow demise of the family and masculinity. But Russia is actively reversing that trend. Obviously, these sorts of «Dad lessons» that Moscow is offering in various institutions are ideally taught within the family, from generation to generation. These are the sorts of conversations which should be had between fathers and their grown sons. But due to historical crises in Russia, this has not happened for many young men, so a lot of them are starting new families without having received the needed preliminary training.That is why these «schools for Dads» are so helpful. They are not meant to replace the inter-generational teaching that naturally happens within healthy families. Rather, they are simply there to supplement, to help those who did not already receive such training. Most impressive, however, is that there is the growing, clamouring demand for these classes among Russian men. The fact that so many young men actively desire to take on the responsibility of their own children, even willingly sign up for training sessions, well for the future of the family in Russia indeed. This is a partial translation/adaptation from a major Russian newspaper, Rossiiskaya Gazeta. During the Soviet Union, the phrase from a classical film “I am preparing to become a father" caused uproarious laughter. But not any longer. Men in Moscow have begun to take their role as fathers seriously. So seriously, in fact, that city clinics are opening more and more free classes "For Future Dads.” Their graduates learn to put a baby to sleep, give them a bath, and much else. For many historical reasons, in the aftermath of the Soviet Union, too many Russian children grew up without active fathers. The mothers became the sole influence and presence in the child's life, which obviously resulted in a slow demise of the family and masculinity. 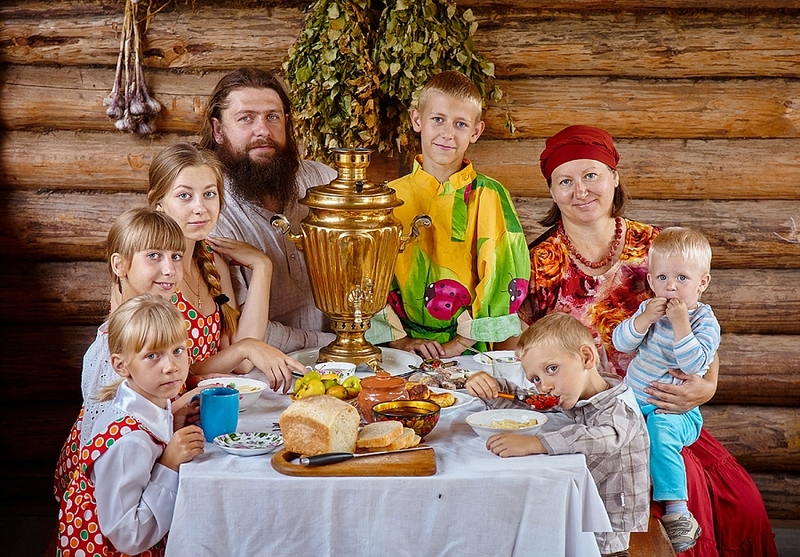 Of course, this is not to say that Russians, who retain a more traditional outlook on the family than countries of the west, are interested in any kind of gender role reversal. Modern Russian just men want to share the responsibility of raising their own children. In the 61st children's clinic in Krutitsky Val, Moscow, a "Dad School" was opened in response to the many requests made by men in the area. Those who are becoming fathers for the first time are especially eager. Many young men consistently attend the lectures in the 'Dad school' at the clinic after work. After lectures, there are discussions. Of course, it's rather amusing and endearing to see strong, adult men sit down as if they were at a business negotiation and begin to discuss the technicalities of swaddling. A nurse wisely teaches the 'students' with dolls, but some people even bring their own children and say, “Please show me, what am I not doing right?” Several young men came to yesterday's lessons, and some of them shared what it is best to play with babies if their mother left on some errand. “We opened this Dad's school in the room for children's health.” said the clinic's main doctor Anna Svechina, “ The lectures are read by an experienced nurse, who answers all the questions. Of course, it happens that there are things that people hesitate to talk about. For these situations, we provided anonymous forms, where parents write what is bothering them, and then they receive a consultation on the telephone or even by Skype." Yet, even ten years ago a man who was willing and didn't argue about changing a diaper could have been listed in the Red List of Endangered Species. Indeed, dad schools are opening in all the districts of Moscow. And the interest is so huge, that people are wondering what else should be done to satisfy the demand." “We went to a meeting with young parents recently, and there were almost as many men as women ther” According to Kyril Chernov, the main doctor of the city's children's clinic #30.